The most secure keyway available. 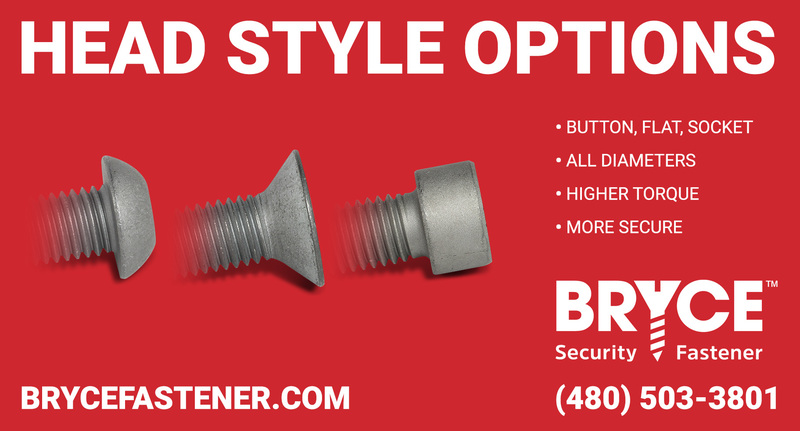 We generate a custom, unique keyway shape for each customer, and only that customer has the driver bit to fit their custom-manufactured security fasteners. 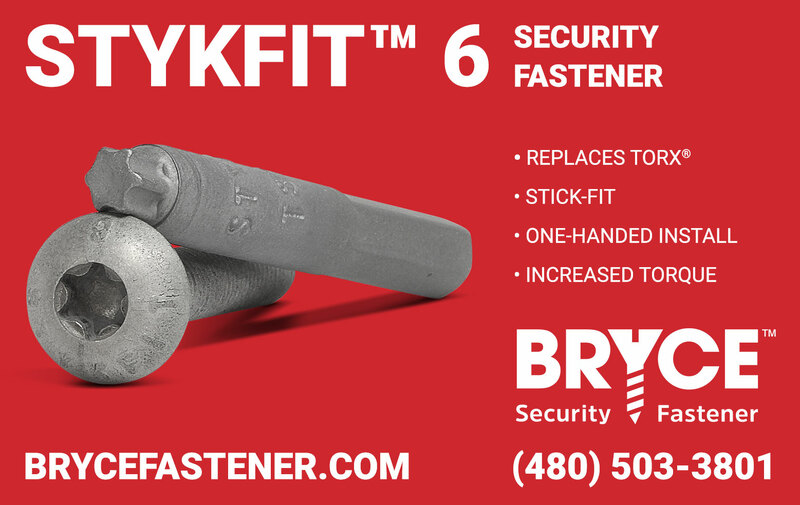 Our patented keyway formula provides over 55 billion variations, so you can rest assured that no one else will have a driver bit for your fasteners. 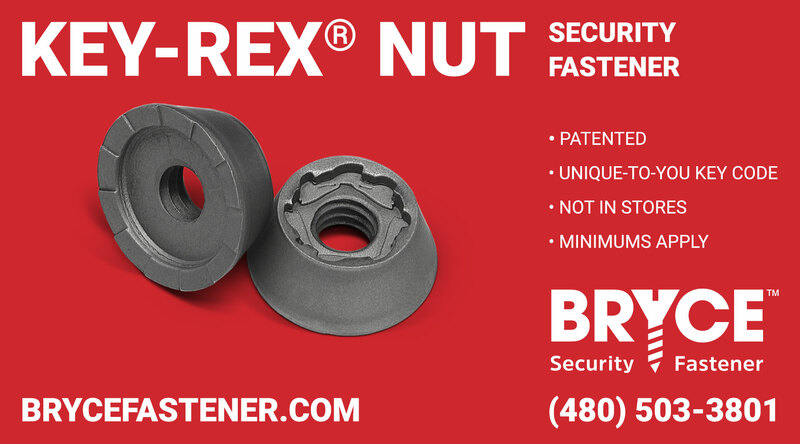 The most secure, theft-proof nuts available, using our exclusive, patented Key-Rex® technology. Add Raptor™ for 20% more torque. 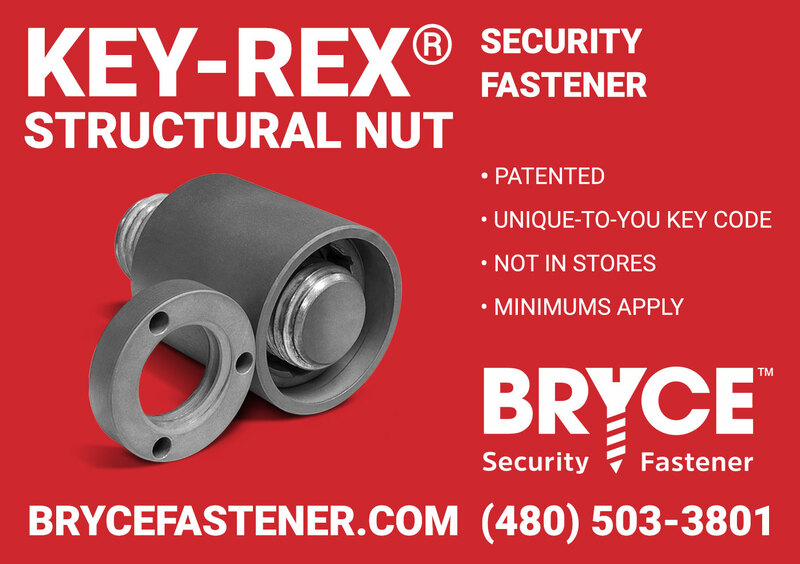 Bryce-exclusive, patented technology for structural hardware. Seven levels of security, starting with a 200 ft-lb torqued security cap with asymmetrical pin pattern. Remove that, and you're faced with the next barrier to entry - our proprietary Protector Nut, that only allows the perfectly-matched driver access. Each customer has their own unique keyway, and the nut can be torqued to 800 ft-lb. Bryce-exclusive, patented in the U.S. and worldwide. Only the matching bit tip can fasten and unfasten a Penta-Plus™ screw. 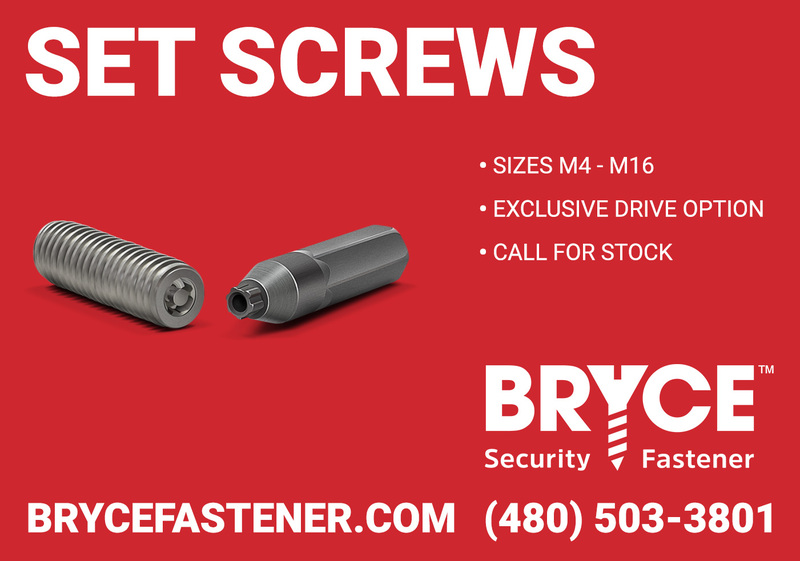 Driver bits are exclusive to Bryce Fastener customers, and are controlled through our customer database. 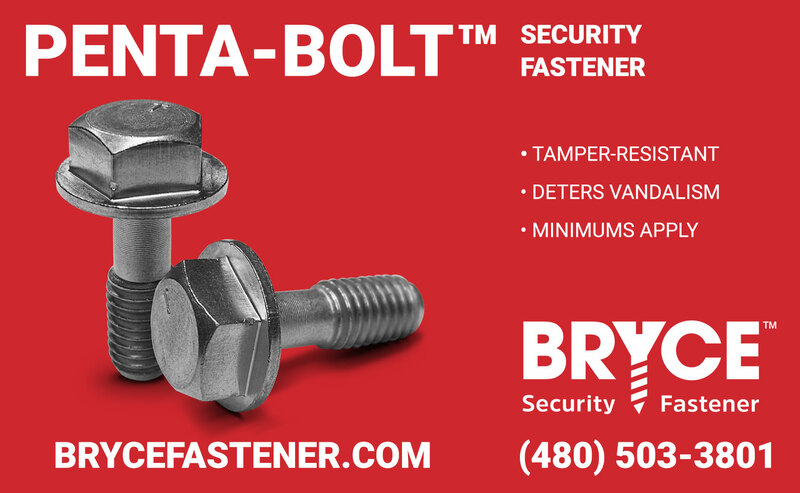 Standard-security penta-head bolts. Unfortunately they are able to be removed with locking pliers, so we only recommend these fasteners for lower-value applications (under $100). 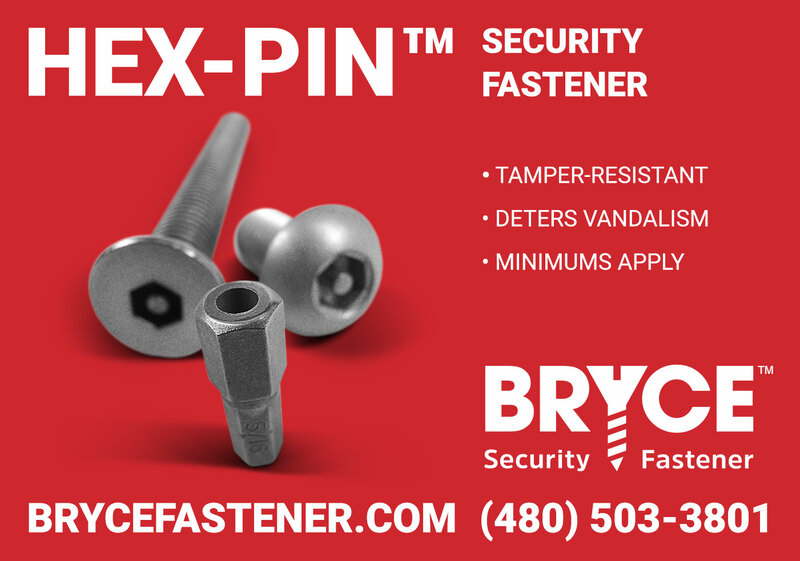 Replacing standard fasteners with our Bryce-exclusive Key-Rex® or Penta-Plus® bolts leads to significant or complete reduction in theft. 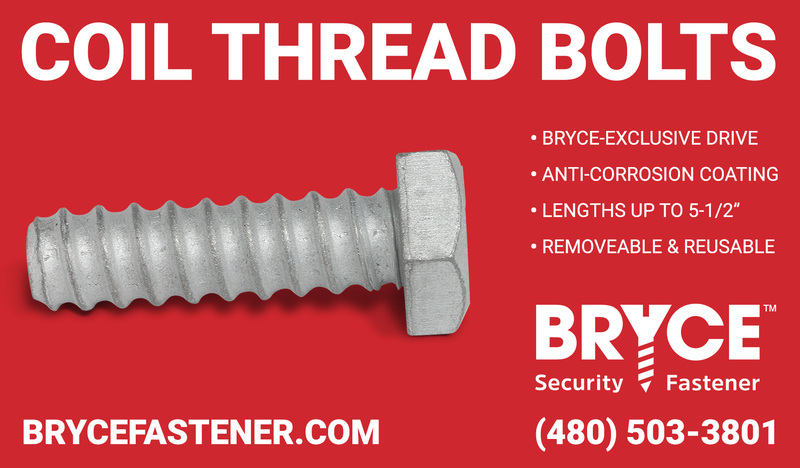 This Bryce-exclusive, patented security nut turns any bolt into a lock. Penta-Nut™ deflects all known tools including locking pliers. Add Raptor™ serrations to increase torque by 20%. Bryce-exclusive, with worldwide patents. Tolerance between the driver and fastener is so minimal that they stick together, allowing one-handed installation. This 7-pin shape with center rejection pin indexes faster than Phillips® and torques higher than Torx®. Perfect for robotic installation. 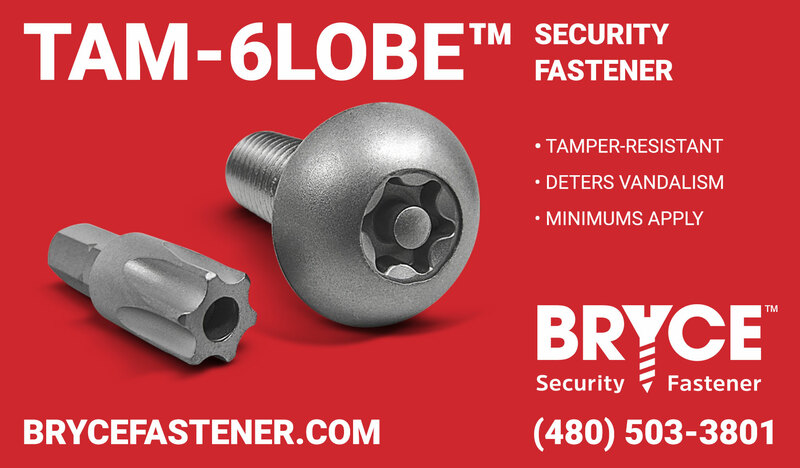 Our exclusive, patented six-lobe security fastener is interchangeable with TORX®, and has numerous advantages, including improved torque. Tight tolerances allow for one-handed or robotic installation. Standard security, TORX® Pin equivalent. Only recommended for low-value applications. For high-value applications, we recommend STYKFIT®6. Bits are available at most hardware stores, so we only recommend the standard-security Hex-Pin™ for lower-value applications. For items over $100 in value, we recommend STYKFIT®6. Every diameter and drive we manufacture is available in button head, flat head, and socket head. Of course, in our typical fashion, we had to tweak the specifications to repel common tools, and improve torque. For example, the sidewalls of our button head cap screws are lowered to repel Vice Grips®, and our drive sizes are larger to increase torque. 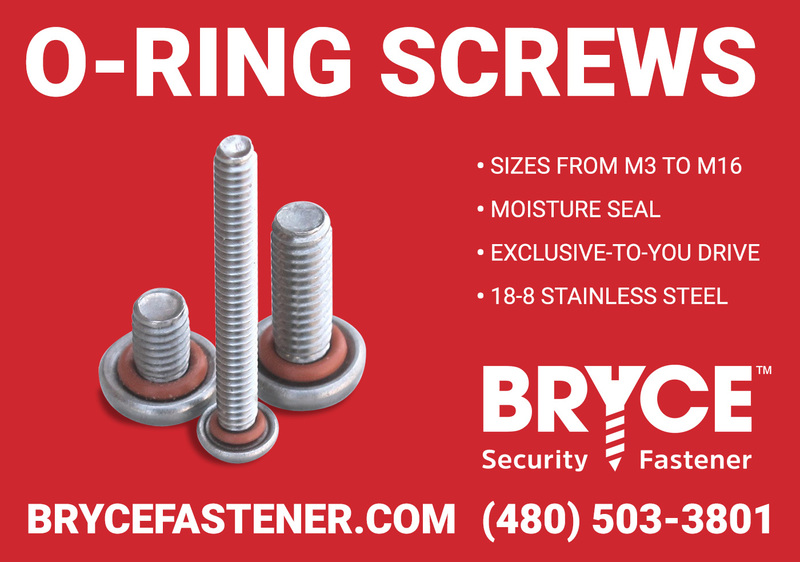 Washers shouldn't be used with security screws - they end up making things less secure, by raising the sidewalls of the fastener head, creating an opportunity for wrenches to access the fastener. If you're using grip washers, we recommend Raptor™ security heads instead. The heads are oversized, and they feature specifically-designed serrations on the underside of the heads that grip into the substate, improving torque by 20%, and doubling the torque required to remove the fastener. Our miniature security screws are perfect for securing electronics, like medical devices and police body cameras. 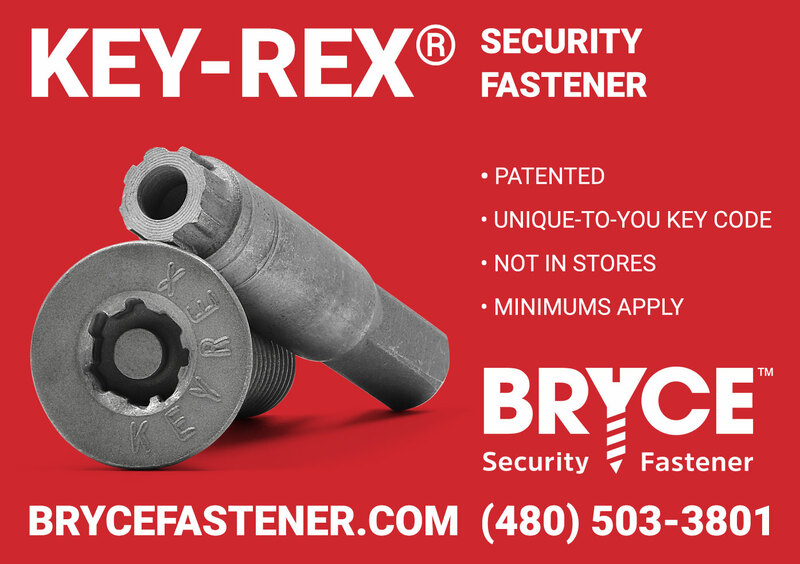 We make them in alloy and stainless steel, with either machine or plastic threads, using our Bryce-exclusive Key-Rex® and Penta-Plus™ keyways. We know how easy it is to drop mini screws, so we've developed an optional stick-fit feature as well. 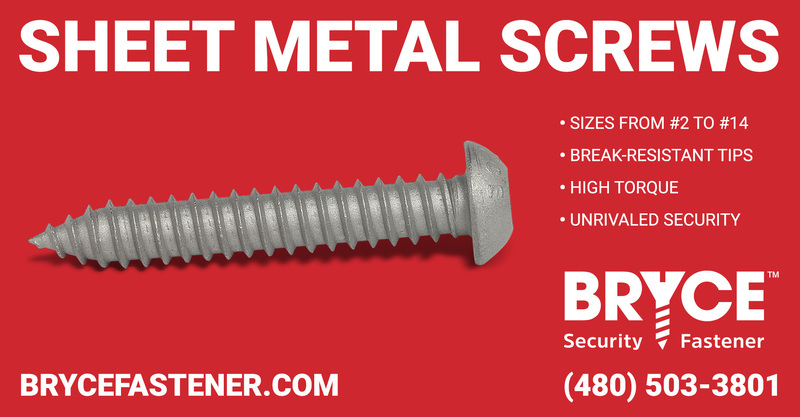 From size #2 to #14, we manufacture sheet metal screws to your exact specifications. And when high torque is required, our security screws deliver. If you're breaking tip tips, we recommend sheet metal screws with Key-Rex®, Penta-Plus™, or STYKFIT®7 drives, to minimize breakage. Tired of screws wobbling on the bit tip, or falling off completely? We've eliminated those problems with our self-drilling screws, with the minimal tolerances of our Key-Rex®, STYKFIT®7, and STYKFIT®6 drives. The tight fit lends itself perfectly to robotic installation, not to mention one-handed installation, improving the speed and ease of your project. 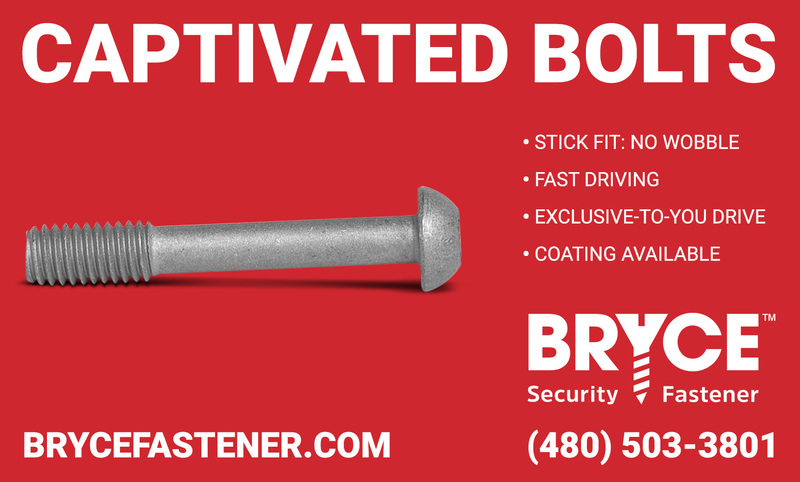 Add BryKote corrosion-resistance coating, and Raptor™ Security Heads for increased torque. Need to loosen a screw, but not lose it entirely? Captivated screws are probably just what you're looking for. We offer them in all of our standard and exclusive drive types, and all of our head styles. We manufacture O-Ring screws in all of our standard-security and high-security keyways, with minimums starting as low as 100 pieces. They're perfect for applications in the medical industry, where moisture sealing and protection of intellectual property are both required. We manufacture security set screws in sizes 8/32 - 5/8-11 (M4 - M16). We make them in all of our drive styles, from standard-security Hex Pin, to our elite-security Key-Rex® keyway (where your keyway shape is exclusive to you, just like a lock). Need extreme torque and security in a lag screw? We make our lags with Bryce-exclusive STYKFIT®7 and Penta-Plus™ keyways, as well as the exclusive-to-you Key-Rex® drive. Standard security drives can't handle the torque required for high-torque applications like pre-drilled plastic, pressure treated wood, or concrete lag inserts, but our high-torque drives can do the job, with torque left over. 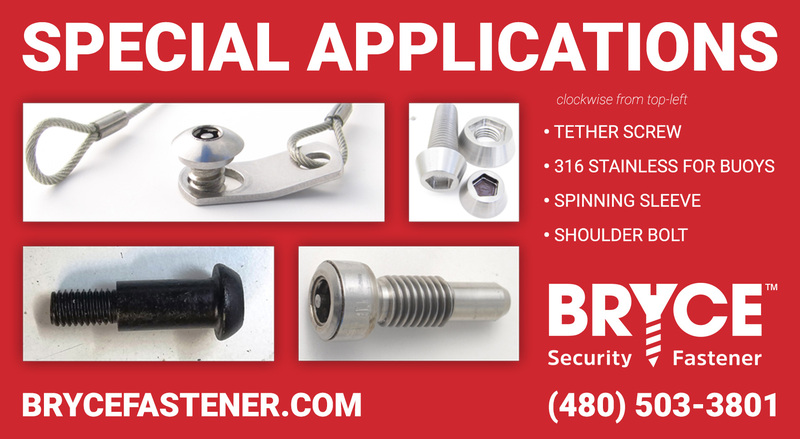 We're the manufacturer, so if you have need a unique security solution, we can work with you to design a fastener that will do the job. 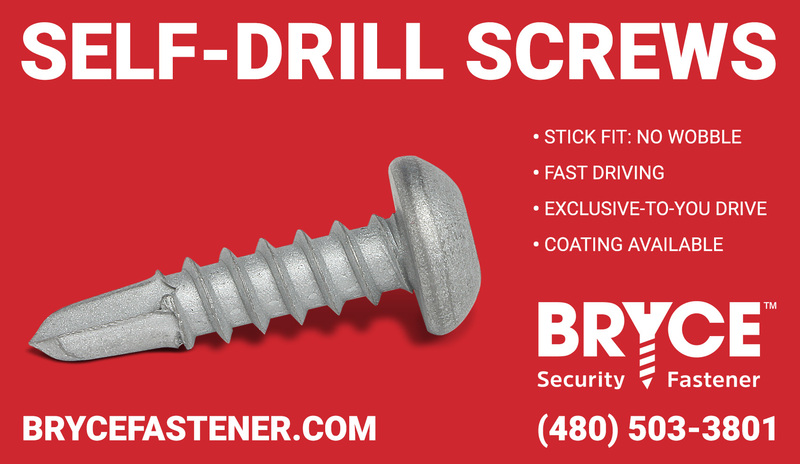 With either the Bryce-exclusive STYKFIT®7 keyway, or the exclusive-to-you Key-Rex® drive, our concrete security screws will secure your assets. We use our proprietary Raptor™ Security Heads to increase torque and improve hold, and add our proprietary BryKote™ anti-corrosion coating. 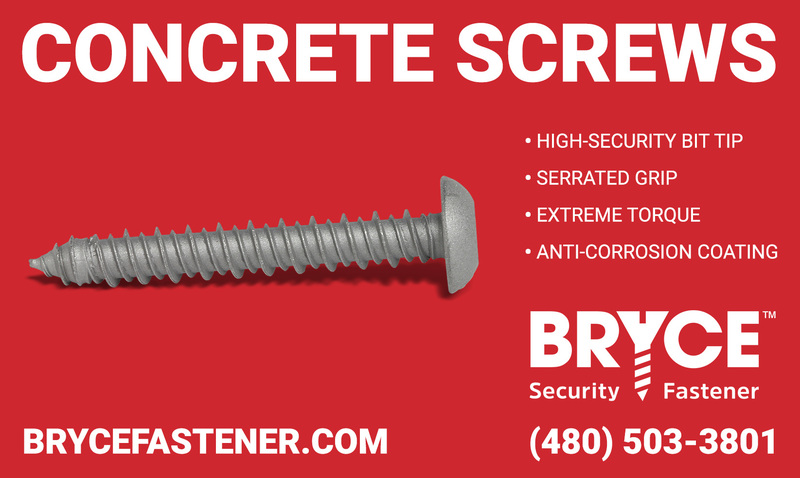 They're simply the best concrete screws out there. 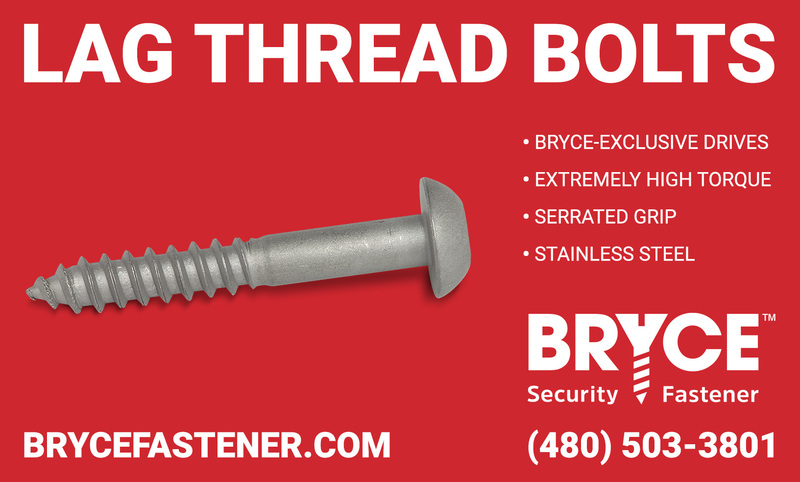 Need a security fastener with trapezoidal threads? We can help. 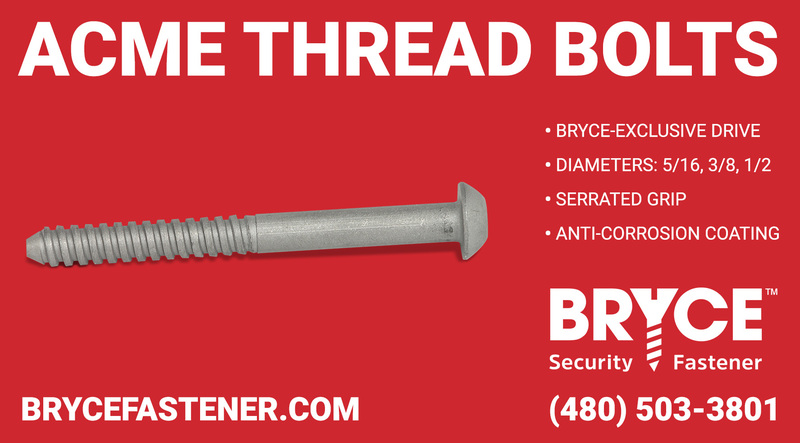 We make Acme security bolts with threads up to 2" long, in 5/16, 3/8, and 1/2 diameters. 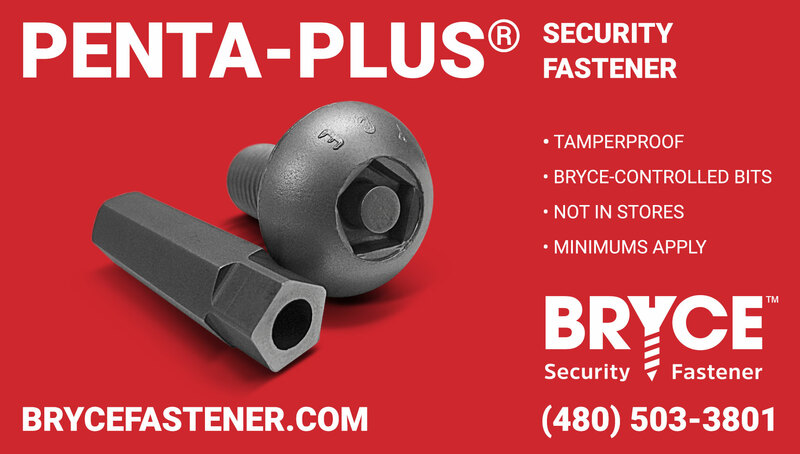 We recommend securing low-value items with Hex-Pin or other standard-security bolts, and we keep standard-security ½-6 penta head coil bolts up to 3 inches in stock, with a $100.00 minimum. For higher-value items we suggest Bryce-exclusive keyways like Penta-Plus™ or Key-Rex®, where only the matching tool can remove the bolts. 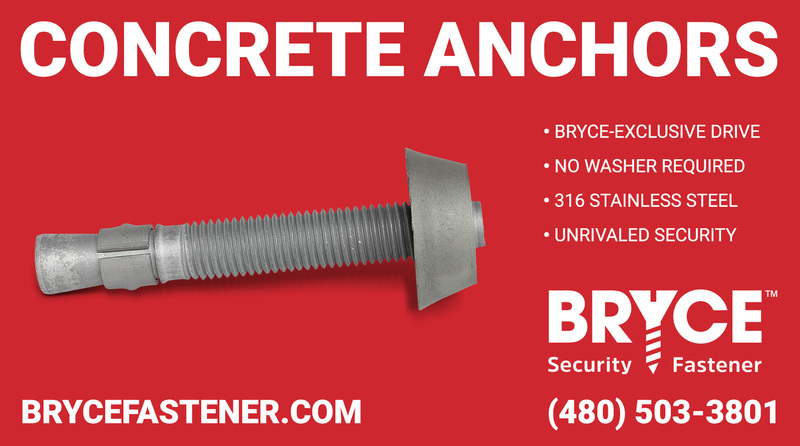 If you've got concrete anchors, and you're looking for a security nut, you've come to the right place. 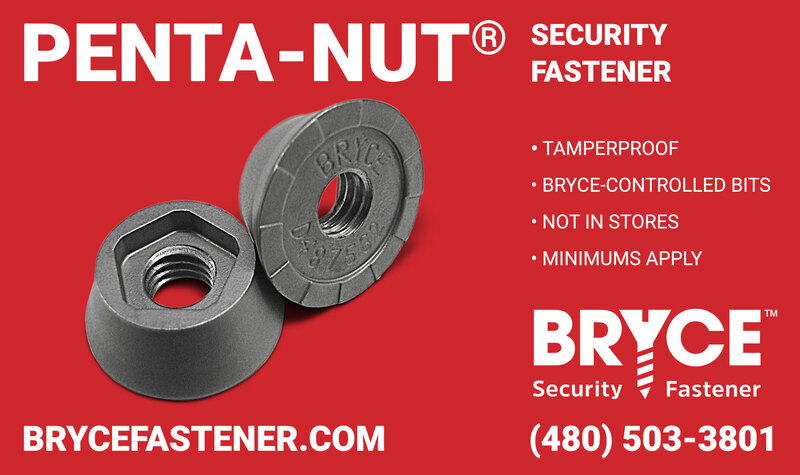 Penta-Nut™ is a nut that acts like a lock. The patented, keyway is exclusive to Bryce customers, and bits are controlled by our customer database. Key-Rex® Nut is best for higher-value applications. We create unique Key-Rex® keyways for each customer, using our patented keyway formula that is capable of generating over 55 billion keyways. 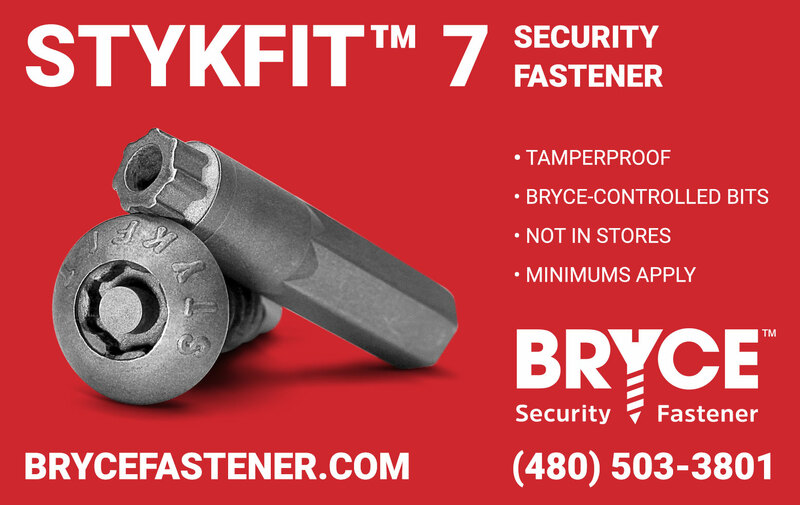 We developed BryKote™ in-house, and we apply it in-house, shaving 2 weeks off of the production schedule compared to sending our fasteners out to be coated elsewhere. It's a four-step process that results in a coating that's 5-10 times more resistant to corrosion than zinc or cadmium. 350 hours of intense salt spray? Not a problem for BryKote™.